Let's just call my current cleaning schedule "unstructured." I clean often enough, but each week looks different. With my Etsy business, Begonia Rose, picking up speed I want to make sure that there's a method to the cleaning madness. 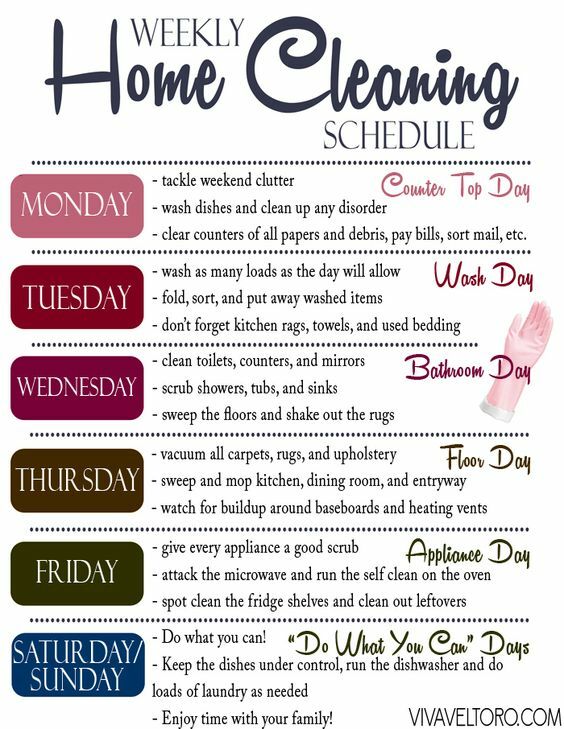 I'm especially excited to start this cleaning schedule as we move into our new home this weekend. My goal is to maintain the schedule until Christmas before deciding to stay the course or abandon ship. Stay tuned for more self-help tools to simplify your life!